While the overall incidence of colorectal cancer continues to decline, a recent study by the American Cancer Society reveals that there has been a steady increase in incidence of the disease in every generation born since 1950. Younger adults still have a comparably low risk compared to those over the age of 50, but their risk today is higher than it was for past generations at the same age. News of this trend has caused a lot of speculation on how younger generations should prepare for this problem and whether or not the medical community should change standards for screening. To help clear up the confusion, UVA Today met with Dr. Charles Friel to discuss what this news means for younger patients. 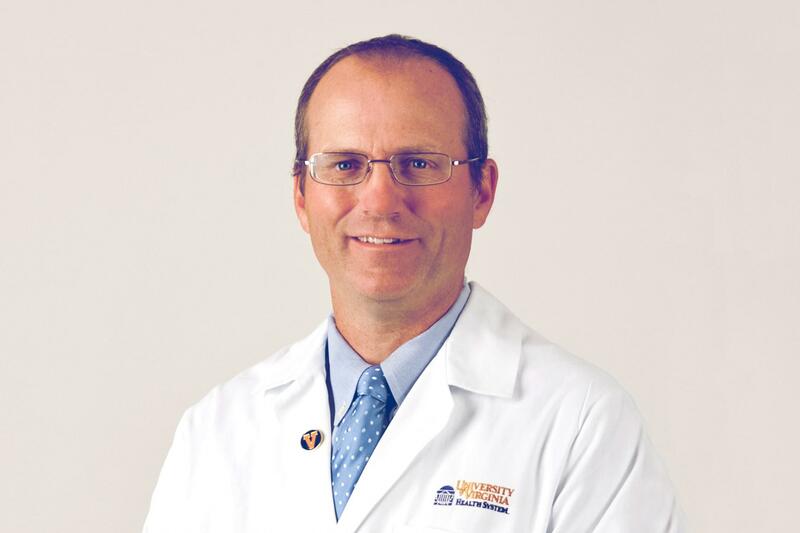 Friel is the surgical director of UVA’s Digestive Center of Excellence, chief of colon and rectal surgery at the Health System and an associate professor in the School of Medicine. Q. What are some reasons we’re seeing this trend in younger populations? A. The honest answer is we don’t entirely know. In general, we have been thinking about colon cancer and colorectal cancer in terms of instances going down among those over 50 for the last few decades. But this new study has demonstrated that it appears to be increasing in this younger population, which is disturbing. We don’t entirely know the reason for that, but there’s some supposition that it’s related to dietary changes, exercise changes, obesity and any number of other health factors. Anecdotally, we are seeing more young people for treatment at UVA. Just in the last 20 years – off the top of my head – I’ve treated someone in their early 20s, several people in their early 30s and lots of people in their 40s. We have been seeing this in Virginia. Q. Are there factors that put some people at higher risk? A. The biggest risk factor is family history. If you have a family history of colorectal cancer, then you are considered to be in a higher-risk group. It also depends on what family member it is and how many family members have had it. If you’ve had a primary family member [father, mother or sibling] who had colorectal cancer at a very young age, then it’s possible that you even have a hereditary disorder that would put you at risk. The troubling part of this study, though, was that most of these young people who were diagnosed with colorectal cancer did not have a family history and their cases were considered to be sporadic. That takes us back to the question of why those people got it, and again, I think we don’t entirely know. There are some risk factors that have been associated with colorectal cancer, including dietary issues like low-fiber diets and high-processed foods, increased amounts of red meat and obesity. Those have all been linked to colorectal cancer to some extent, but it’s not the smoking gun like we have – literally – with cigarette smoking and lung cancer. Q. What symptoms should people look out for? A. The most common type of problem that you’d probably have with the diagnosis of colorectal cancer would be rectal bleeding or a change in bowel habits. So if you have bleeding or a change in bowel habits or constipation, those would be concerning symptoms. Abdominal pain can be a symptom to some extent, although that’s a little bit more vague. I think the main concern is that sometimes when younger people come in with a little bit of bleeding, there’s a tendency to believe that it’s a minor problem such as hemorrhoids or something of that nature. It could be minor, but those symptoms can also indicate something more worrisome and should be fully evaluated by a doctor. When those symptoms get dismissed, unfortunately doctors don’t diagnose the cancer at an earlier stage. Q. What questions should patients ask about colorectal cancer during regular check-ups? A. They don’t need to do anything additional if they don’t have symptoms and they don’t have a family history. There are other risk factors, including a history of inflammatory bowel disease, but I would suspect that if you had that, you’re probably under the care of a doctor and you’ve probably had colonoscopies before. When people go to discuss care with their doctors, they just have to be very forthright about if they’ve had family members that have a problem. It’s important that families also discuss their histories with each other. In some situations, families don’t like to talk about these issues but it’s important to share that information so that the next generation knows and can be properly evaluated. Q. How treatable is colorectal cancer if caught early? A. If caught early, these types of cancers are very treatable, and I have a number of young people that have been treated and are doing great. The key with any cancer – but particularly colon cancer – is that if we find it at an early enough stage, we can usually remove it. Sometimes we need to do chemotherapy and sometimes not, and patients can then go on to live long, happy lives. Q. What are good preventative measures that everyone should consider? A. The biggest thing is to have a healthy lifestyle. We shouldn’t be smoking, we should avoid heavy use of alcohol, get plenty of exercise, eat a well-balanced diet with plenty of fiber and avoid having a lot of red meat. Maintain a normal weight. These are things that we should be doing as a society for a lot of different reasons, but it is particularly true that those things will probably lower your risk for colorectal cancer. The other thing is that as you get to be 50, make sure that you get your screening done and be aware of your personal history and family history, and, if you need to, get your screenings done earlier after consulting with your physician. The thing that’s disturbing about this study, though, and I think even the authors are suggesting it, is that perhaps as we watch the pattern of the disease over time, we need to adjust when screening recommendations should be done. I think this study is questioning whether we should be doing screening at a younger age. The thing to stress, though, is that if you do develop symptoms, you have to pay attention to those symptoms. Respect those symptoms and investigate them even if you’re young.